“Cannon” balls are suspended in the air supported by coloured straws. 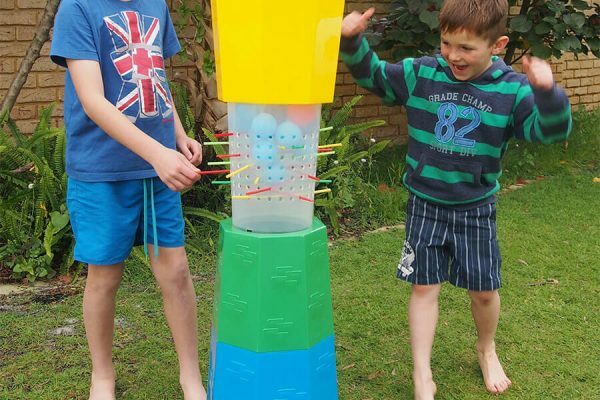 Remove the straws one by one and watch the balls fall down inside the castle tower. The winner is the player with the least balls at the end of the game! 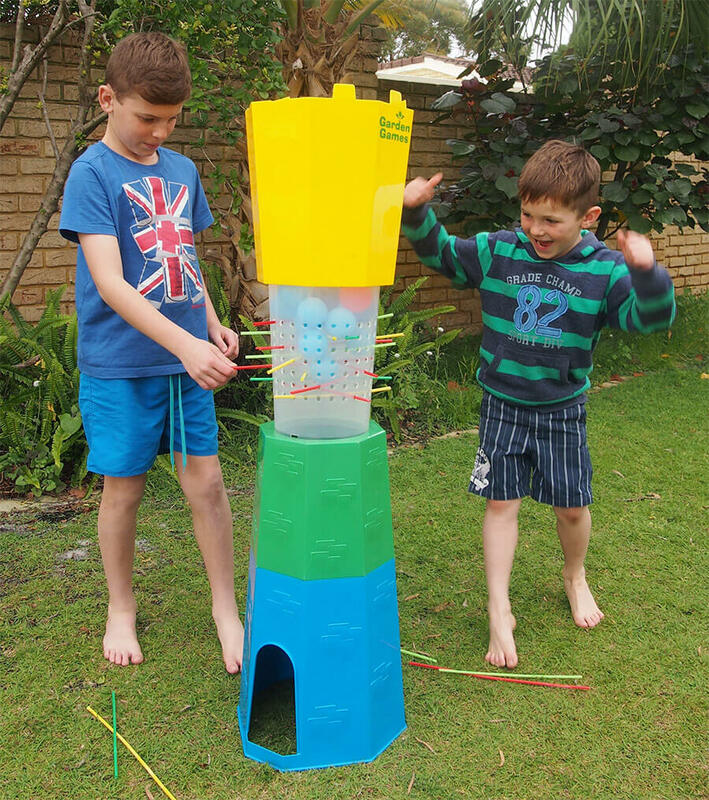 Our Giant Cannonball Drop game is 1.2m tall and based on the design of a castle turret.